The Louisiana Tech University Career Center sponsors the following events for students and alumni to explore employment opportunities with employer and organization representatives. To register for these events and for event details, log on to (or create) your Handshake user account. Follow the steps provided by Handshake Support outline here. The Louisiana Tech University Career Center host Career Days during both Fall and Spring Quarters. Sophomores, juniors, seniors and alumni of all majors are invited to take place in this open browsing event. Students and Alumni have the opportunity to register online before the date of the fair. 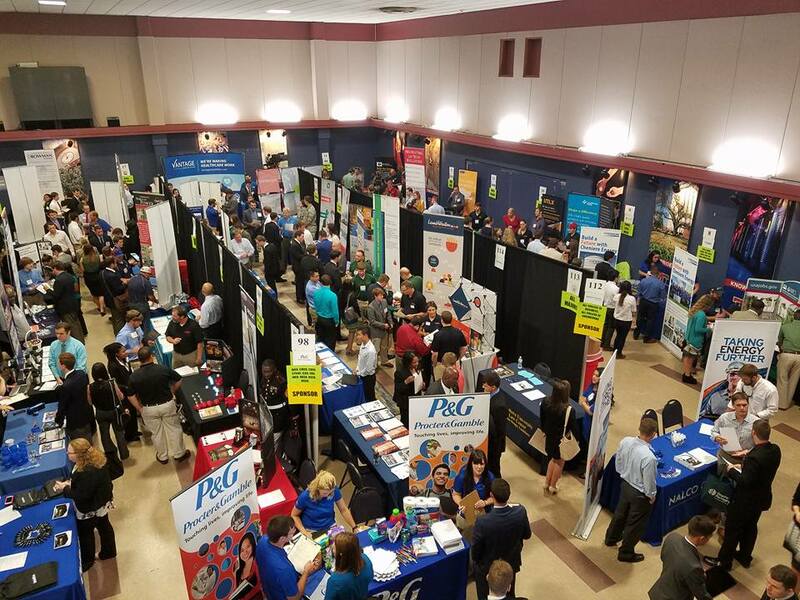 Employers from various local, national and international companies travel to LaTech to recruit interns and employees from these events. Graduate and Professional School Fair gives Louisiana Tech University students and alumni the opportunity to meet with representatives from various organizations about furthering their education. Graduate and Professional School Fair is open to all students and alumni of all majors and classifications. During each spring quarter, the Louisiana Tech Career Center hosts Teacher Recruitment Day for students and alumni in search of teaching, counseling/guidance and speech pathology positions. Many school districts and educational companies participate in this fair. Students and alumni with majors in Education, Counseling, Kinesiology, Psychology and Speech Pathology are invited to attend this fair and can preregister for the event. School Districts and Employers are required to register before participation. The Louisiana Tech Health Sciences Career Event gives students and alumni the opportunities to meet with representatives from professional health fields. Students and Alumni of all majors are welcomed to participate.